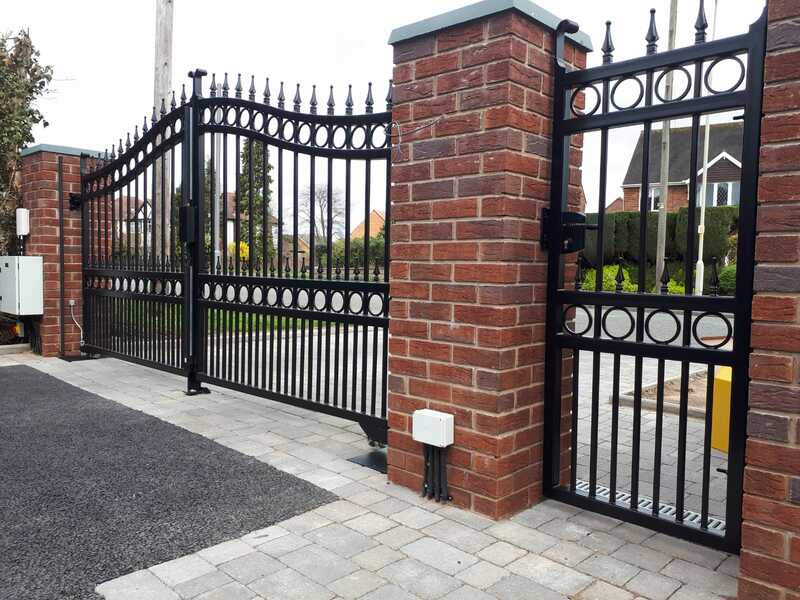 Our brief for this job was to add security to the property in Wordsley making decorative ironwork that is sturdy and that will stand the test of time with reliable automation and all the safety standards expected from electric gates. Our client chose our BG101 Gates with matching pedestrian gates and railing, a design taken from a set of gates in Malvern, Worcestershire and Barnt Green, Birmingham. The client was unsure whether to choose above ground automation or underground automation but after some advice and costings opted for below ground automation. Many people are surprised to learn the cost difference is not that great, weighing up that with careful maintenance they will last for many years. After an initial site visit we were able to provide a quote for the job providing the customer with a number of options. As with all automated gates there is a lot to take in such as GSM intercom, Wireless Intercom, Mag Locks, Drop bolts etc and we will talk you through all of these and give you an unbiased opinion and what would work best for you and your needs. Although as a company we prefer to use BFT Automation, we are not tied down to only supply this and also fit Nice, Came, Faac, and more the important parts all are supplied with a two year Warranty. We were then able to measure the job and start putting these gates into production. Once made at our factory in Halesowen the gates were then given two coats of zinc primer and two coats of black top coat, all finished in house. Fitting on site was carried out by our DHF (Door and Hardware Federation) trained engineers, ensuring that the gates meet all current safety standards. As you can see from the photos all of our electrics are housed in steel cabinets to protect them from the elements and all of the cable used is ducted to provide a trouble free system. We were really happy with the outcome of this job and all involved worked hard to ensure the customers were equally happy. 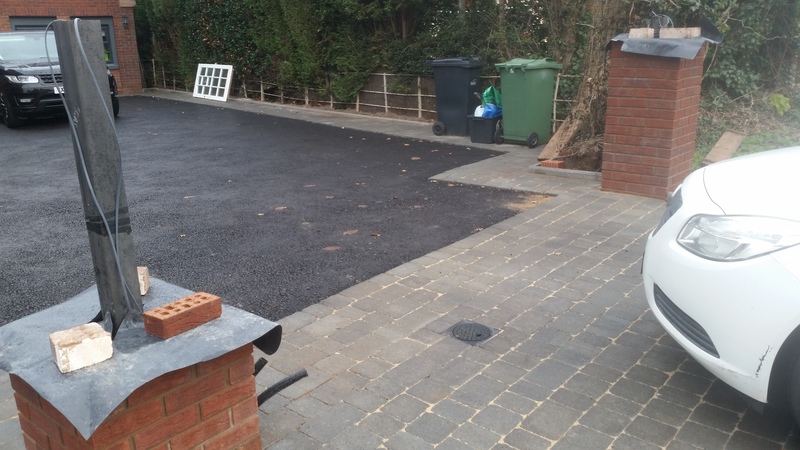 “We had new front drive gates and side gate fitted to our home in Cot Lane, Wordsley in January 2019. We were looking for ages for the right company and found a company called “Iron Design West Midlands LTD.” Our initial consultation was very friendly and helpful in understanding what we wanted. Over the next few weeks as we agreed on the design it was never too much trouble to come back and see us, so we were happy at what we had ordered. The gates came on time as agreed and the workmanship was fantastic, over the week they fitted the gates and made sure that until we were shown how to use the gates, due to health and safety, wouldn’t let us use the power on the gates and I thought this was very professional. If you are interested in Gate or Garage Door Automation, please contact us.